Code Compliance Officers respond to concerns from citizens and other agencies regarding conditions on private property that affect the quality of life within the city, such as, but not limited to: an accumulation of garbage, overgrown lots or yards, junk vehicles, vacant buildings that are open to unauthorized entry, clear view violations at intersections, illegal businesses, illegal conversions, fences in the right-of-way, parking in the front yard, graffiti, illegal signs and public nuisances which render properties substandard or unsafe to its occupants or the general public. 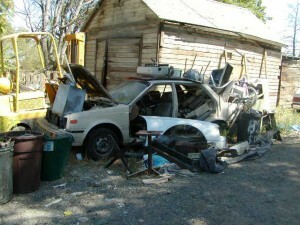 The City of Yakima now has a Graffiti Removal Process to assist property owners who have been tagged. 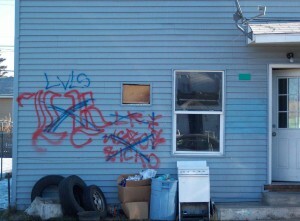 A permission slip is required to be signed by the property owner before the graffiti can be painted over. Feel free to call the City of Yakima’s Office of Neighborhood Development Services at (509) 575-6101 for more information on this program. By Phone: The Code Compliance Hotline number is (509) 576-6657. There is a voicemail option on this number, so you may leave a message with the details of your concern, no matter what time of day or night you call. Please be sure to indicate whether or not you wish to remain anonymous. Online: Visit Yak Back to report code violations. Create a new report by filling in the requested information. You may remain anonymous. In Person: Stop by our office during regular business hours to report your complaint.